National Cyber Security Awareness Month and Shadow IT along with an aging password culture, have all been major contributors this year and continue to allow fraudsters to thrive. With recent news about the Office 365 PhishPoint scam and increased ransomware attacks, it’s important to stay vigilant at all times. Identity theft is real and can happen to anyone. Smaller businesses, too, are increasingly becoming victims to attacks and the impact can be devastating. 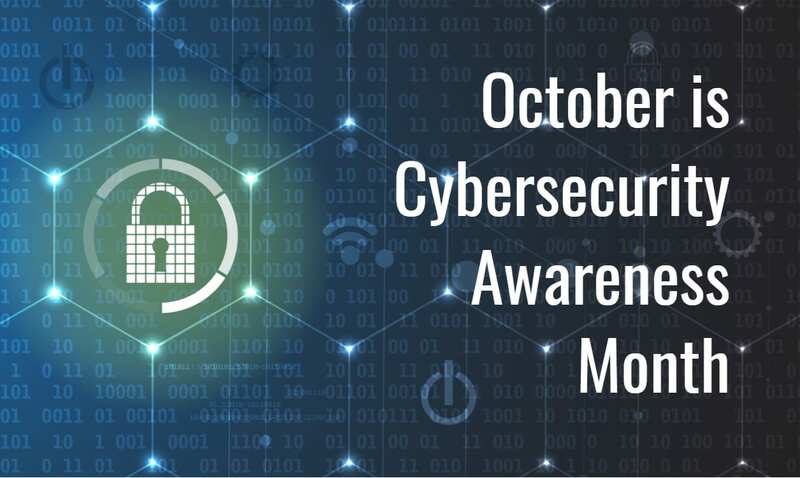 October is National Cybersecurity Month. As your trusted IT partner, it is our job to keep your data and network safe. We have a number of online resources available to get your staff up to speed on how to follow safe computing practices and identify potential threats before they become an issue. As an IT Solutions client you have access to a wide range of industry leading tools to take your security to the next level. If you would like to discuss our advanced security package to better protect your business, or if you're interested in an onsite cybersecurity awareness session for your staff, we encourage you to contact your vCIO or fill out the form below. It has been another eventful year for the cybersecurity industry. Cybercriminals are still breaking through barriers — leveraging both new and traditional attack methods to steal critical business information and personal data. The Internet of Things (IoT), Cryptomining and Shadow IT along with an aging password culture, have all been major contributors this year and continue to allow fraudsters to thrive.